Private Remarks: Call Roxy if you are unfamiliar with this subdivision. I have owned property there and really appreciate the good value it offers. 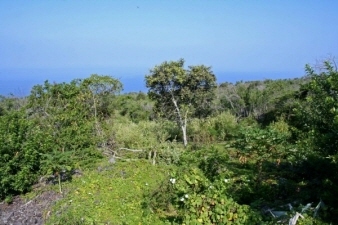 Exterior Features Wonderful 1.1 ACRE parcel located at end of Lani Ave in South Kona. Adjoins large 222 acre vacant parcel on north side. THIS is the acreage you've been waiting for in South Kona! Additional Features and Amenities Terrain will preserve your views but isn't extreme. Located on makai (ocean) side of street with power poles behind property which allows clear views of the ocean. Roughed in driveway and some additional grading on parcel. EXTREMELY good ocean views. Within a few minutes drive of small boat county boat launch. Wonderful snorkeling and diving in area! Enjoy building your Hawaii home in rural South Kona. Beautiful sunsets, whale watching in season, dolphins spinning year around and fabulous local snorkeling spots will fill your days with tropical fun. Outstanding prices for Oceanside subdivision in Hawai'i. Popular area for winter "snowbirds" and islanders alike. Milolii Beach lots are located approximately 5 miles off the Belt Highway. Access by turning on the Milolii Road between Mile Markers 88 and 89. Drive down to Lani Avenue and turn north. Sign on property.